"Man Can't be Trained & You Do not Required Certificates for doing Passionately " - Bunker Roy . The words might be resonate the tough stand of the Man , who built the Barefoot College in Tilonia , Rajesthan. 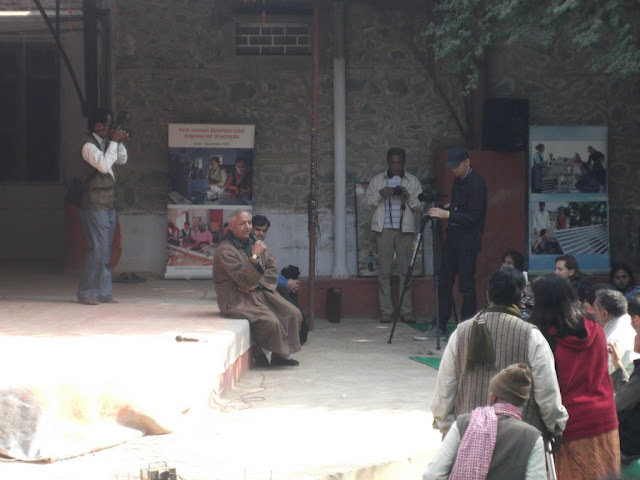 He is very humble in making the yatris (www.jagritiyatra.com) , understand the importance of Knowledge, specially Science to the Women (Mothers and Grand mothers). Without a doubt , the person who created a College for the Poor and made them Solar Engineer, is one of the most inspiring Role Model , we visited. According to the Bunker Roy , one cannot devalue traditional skills, which are more than any skills.